Most customer success articles you’ll read talk about helping customers reach their ideal outcomes – ideal outcomes are the most important thing, the very job description of customer success. But there’s another job that comes before ideal outcomes, one which, if done poorly, will result in churn even if ideal outcomes are achieved. Let’s begin with a cautionary tale – a true story – of a SaaS app that failed to set expectations that matched what the app did. While on the website copy and in the app itself, this company promised a customized approach to getting fit, complete with a personal wellness coach who would be accessible via private chat to offer encouragement at times of crisis and temptation, it didn’t deliver as described. Within a few days, it became apparent that the “personal coach” is really only accessible via group chat. In fact, if you try to contact the coach via the in-app private chat box (which even has the coach’s picture on it), the coach will never actually see your message – you’ll get an automated reply from a bot. When all of this was revealed – in the group chat room – every participant was taken aback, and several initiated their free trial cancellations within days. Even though they liked the app. Even though they were already seeing the results they’d hoped for. Yes, even when customers were achieving their ideal outcomes, because of the mismatch between their expectations and the services delivered, they left. But not before sending feedback – which went unanswered. It was a customer success failure of a magnitude we don’t, frankly, see very often. And it’s almost painful when you realize that nearly all of their churn was completely, 100% avoidable. If only they had matched customer expectations to what they were actually prepared to deliver. What it felt like was a bait and switch. The fitness app example above is a classic case of sales and marketing not being aligned with product development, customer service, and customer success. Clearly, none of these departments were speaking with each other, or customer service could have told marketing that customers were complaining about being misled. Or marketing could have spoken with produce development to see how they could better deliver on the promise that was bringing people in the doors. None of these things happened, but an empowered customer success team could have bridged these gaps. Customer success, of any department, has the power to bring people together. Because, at the end of the day, we’re all working for the customers’ success. We’re all trying to create a product and experience that works. If you find yourself spending time trying to “adjust” customer expectations, check in with sales. Check with marketing. Check with customer service. See where the disconnects are, and what you can do to address them and bridge those gaps. The key to setting expectations – and setting customers up for a successful experience – is really communication. 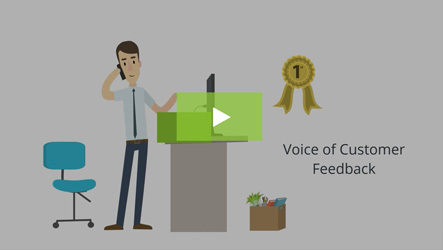 Not only do you have to communicate clearly and accurately with the customers themselves, you also have to keep lines of communication open with all of the other departments who have a hand in creating the customer experience. That fitness app made promises it clearly never intended to keep – maybe that was intentional (a real bait and switch! ), or maybe it was the unhappy result of teams failing to communicate what was possible to deliver. Either way, they committed the cardinal sin of expectation management – they created a high expectation and failed to reach it. 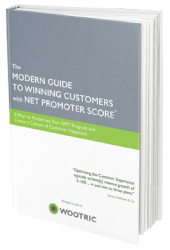 To avoid overpromising, you have to know what you can afford to do for customers. Often, this isn’t easy because management and customers expect that you can do more than is realistically possible, which means you have to manage expectations on both sides. If it’s a time issue, start tracking how much time it takes you to do certain tasks, or to serve each customer. If it’s a funding issue, keep tabs on what it costs to deliver everything that is expected. Then you can build a case for getting more funding, or pairing down services. When working with customers to define their ideal outcomes and success benchmarks, discuss potential obstacles from the start. Discussing potential issues before they arise prevents customers from getting nasty surprises, and prepares them to work with you to overcome these roadblocks. Nothing upsets customers more than feeling like they’ve been duped – that you’ve violated their trust. Trust is easy to lose, and nearly impossible to win back. And once a customer stops trusting you, they stop being customers and become detractors, telling everyone who will listen their story about how you let them down. Customer loyalty, lifetime value and retention are rooted in trust. And without them, your SaaS business can’t survive. It sounds like SaaS 101, but clearly not all SaaS companies are tracking when and why users are bailing out of the onboarding process. If you don’t have a system in place to send “red flag” notifications when users are exhibiting signs of distress, you’re losing customers and probably don’t even know why. 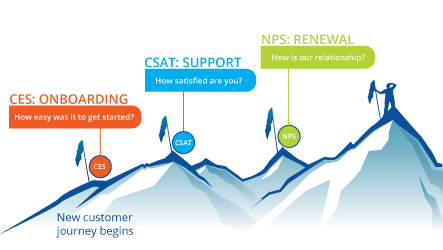 It’s well worth the investment to purchase a good user survey system to keep your finger on the pulse of CX metrics like Net Promoter Score (NPS) for customer loyalty, or Customer Effort Score (CES) to keep tabs on how onboarding is going. Okay, now for the fun one: When you’ve exceeded expectations (or when they’ve reached a milestone faster than expected), make sure they KNOW it! Celebrate with them. Point out their successes and you’ll help to reaffirm their high opinion of you. 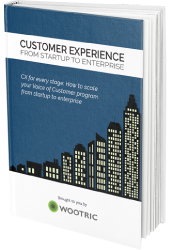 Customer success teams are uniquely positioned to understand the whys behind the whats of user behavior. But if you keep all of your insights to yourself, without sharing them with other departments, you’ll continue having to “manage” mis-aligned expectations. 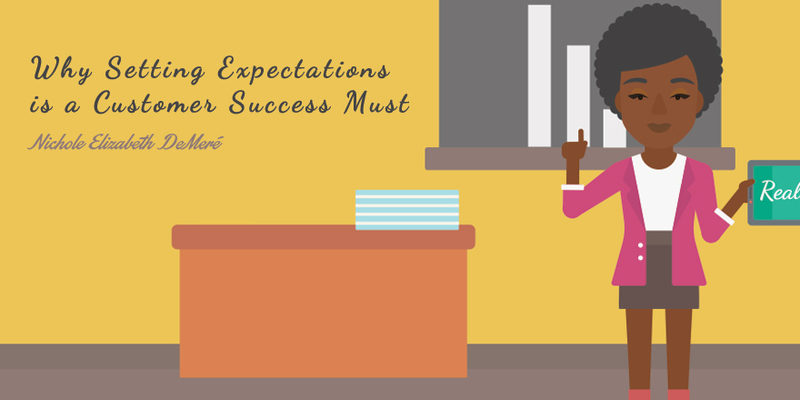 Set yourself up for success (and your customers too), by addressing expectations early. Are you meeting customer expectations? 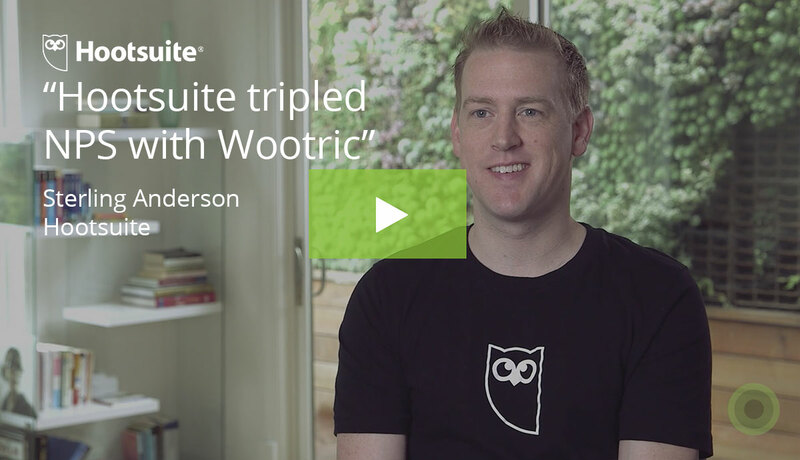 Get started with free in-app customer feedback with Wootric.